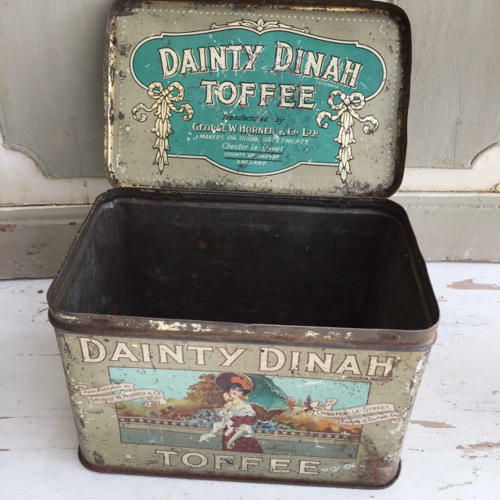 Very nice Dainty Dinah Toffee Tin with attractive colours. The top image has worn away and is now polished tin. The front image and sides are good, back image a bit scratched but overall a good looking tin for a kitchen shelf or display.